For Your Monsters: Canine Caviar Dried Sweet Potatoes. 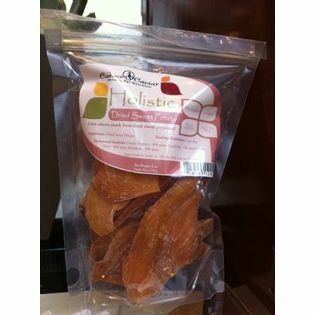 Dried sweet potato seems to be making a huge push in the ‘natural’, ‘anti rawhide’ world. There are so many options these days and I know my dogs are LOVIN IT. I am a sucker too, I know, I don’t need to buy every single brand of dried sweet potato whatevers but I do, oh well, my dogs are pretty darn good and they are just so cute, so I simply cannot resist. Anyways, back to the lecture at hand, Canine Caviar Dried Sweet Potato treats. They are a very crispy sweet potato snack and they come in big slices. For smaller dogs, you will have to break them down for safety purposes, big dogs will have a hey day with these. There is only 1 ingredient in these treats, sweet potatoes, so there are no worries there. Sweet potatoes make a great alternative to raw hide because not only do dogs LOVE them, they are also fat-free, high in potassium and beta carotene and gluten-free. 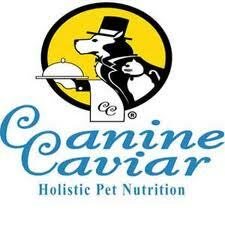 I cannot find Canine Caviar’s own website but of course they are for sale on Amazon. I do encourage you to look at your local, small pet store, they will most likely carry these. ← GoFit Women’s Xtrainer Gloves.